Second suspect in custody after shooting of Raleigh police officer. 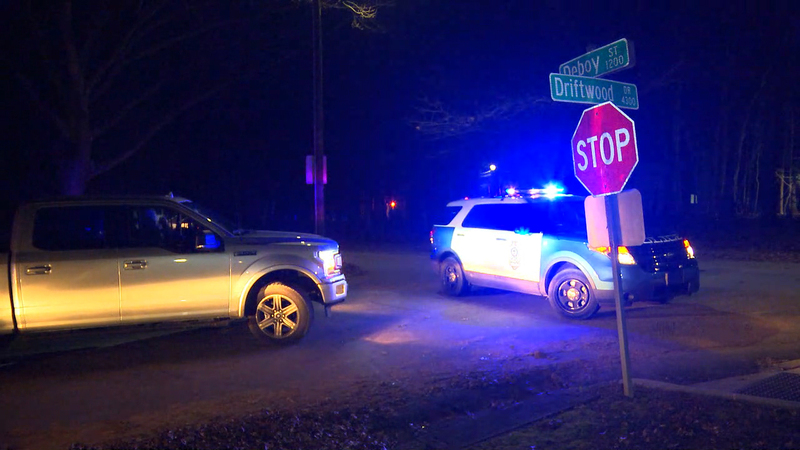 RALEIGH, N.C. (WTVD) -- A Raleigh police officer was shot multiple times Wednesday night while trying to arrest a suspect on Western Boulevard near Schaub Drive. One suspect was taken into custody late Wednesday evening. The second suspect was found early Thursday morning hiding in a shed off Wendy Lane, according to police. The officer was rushed to WakeMed in unknown condition. Raleigh Police Department tweeted at 2:30 a.m. that the officer was out of surgery and in need of prayers. The shooting happened Wednesday evening around 8:30 at an apartment complex in southwest Raleigh. A Raleigh police officer was shot multiple times on Western Boulevard as he tried to make an arrest. I-440 at Western Boulevard was shut down as part of the investigation. Traffic was moving slowly on I-440 as of 9:30 p.m.
Law enforcement officers used flashlights to search nearby woods. Shortly before 10 p.m., an ABC11 crew at the scene heard flash bangs from in the neighborhood behind us. It was unclear exactly where officers were searching but they were concentrating on an area about a half mile from the shooting scene. Area residents were being told to stay inside. RPD at the scene of where a police officer was reportedly shot Wednesday. Police requested the assistance of a State Highway Patrol helicopter in the search. Chopper11 HD over the scene of WakeMed after officer shot. RPD said numerous law enforcement agencies were assisting in the investigation. By 1 a.m., police had their suspects and the scene began to clear. Raleigh Police ask anyone who knows anything about this crime to contact RPD immediately.